Pawan Kalyan's upcoming Telugu film, ​Katamarayudu is making headlines with each passing day ever since the teaser of the film was released. Directed by Kishore Kumar Pardasani and produced by Sharrath Marar, the film is a remake of 2014 Thala Ajith starrer Veeram. 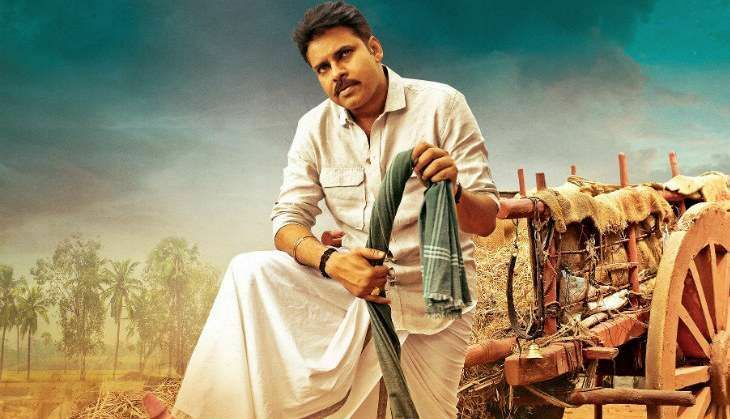 Katamarayudu stars Shruti Haasan as the female lead and also marks the second collaboration of the Pawan-Shruti duo after the successful Gabbar Singh in 2012. The 51-second-long teaser was revealed on Saturday night. Interestingly, the teaser of Pawan Kalyan starrer has already broken few records on YouTube. Katamarayudu teaser unseats Chiranjeevi's Khaidi No 150 teaser to emerge the fastest teaser to cross 1 million views. The teaser of Chiranjeevi's comeback film clocked 1 million views in 3 hours while Katamarayudu did the same in 2 hours. Katamarayudu clocked 2 million views in just 5 1/2 hours while compared to the Rajinikanth blockbuster Kabali teaser, which did in 8 hours, which is quite exceptional because Kabali teaser was released on a Sunday unlike Katamarayudu teaser, which had released on a Wednesday. The teaser of the new Pawan Kalyan starrer has also surpassed the records of Shah Rukh Khan and Salman Khan films as well. Katamarayudu had 3.7 million views in 24 hours compared to the teasers of Shah Rukh Khan starrer Dilwale (3.6 million views) and Salman Khan blockbuster Sultan (3.1 million views) upon the teaser releases of the respective films. Salman Khan and Varun Dhawan bagged Judwaa at 29! READ NEXT >> Salman Khan and Varun Dhawan bagged Judwaa at 29!